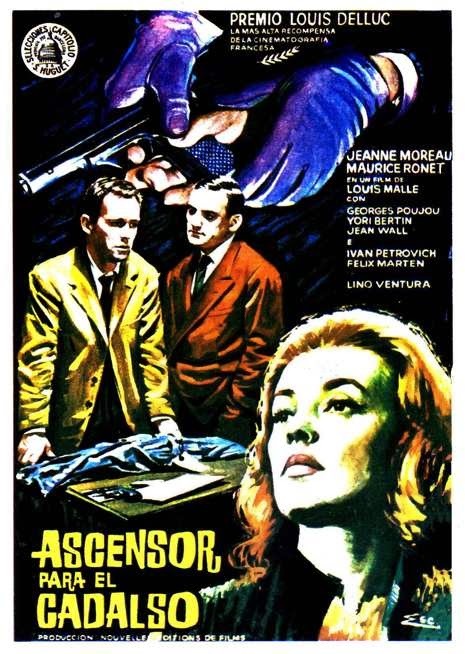 Ascenseur pour l’échafaud was the celebrated director Louis Malle’s feature film debut and starred Jeanne Moreau and Maurice Ronet as lovers planning a murder. The two day recording session was held at Le Poste Parisien Studio in Paris on December 4th and 5th, 1957 and featured French session musicians René Urtreger, Pierre Michelot and Barney Wilen along with American drummer Kenny Clarke. After getting some basic cues and the key from Davis, the soundtrack was totally improvised while the musicians watched the movie on a screen. The soundtrack seems to be a well-kept secret in the Miles Davis discography which is odd considering that the modal experimentations laid down for Malle’s film clearly led to what came soon afterwards in a similar vein, Milestones and his all time classic Kind of Blue album. 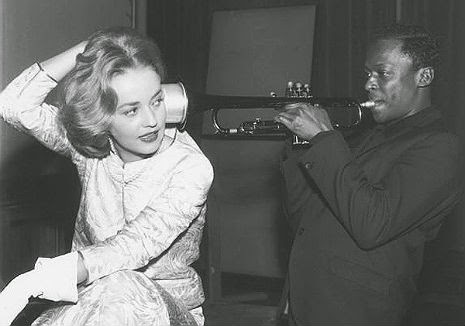 Miles Davis watches Louis Malle’s French film noir, Ascenseur pour l’échafaud (“Elevator to the Gallows”) and improvises his moody soundtrack score.